Our friends at the Canterbury Archaeological Trust (CAT) aren’t just busy inventorying their recovered artifacts. They’ve got excavations to do and archaeological treasures to unearth. 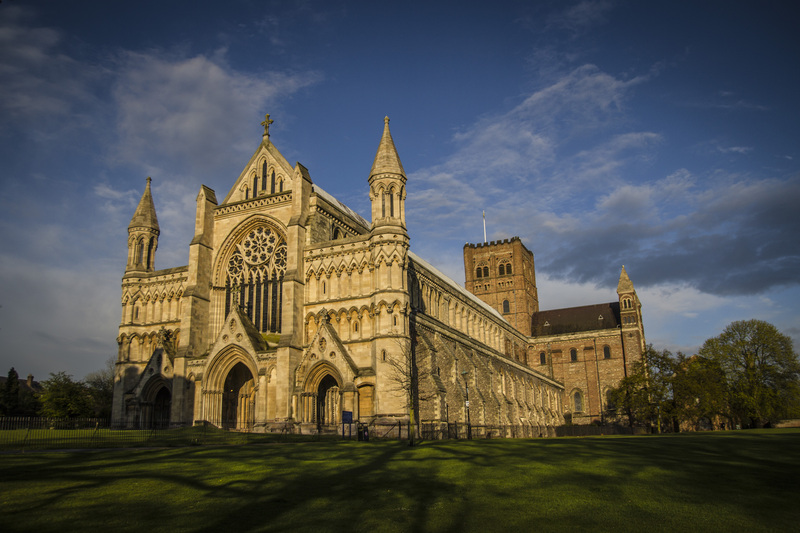 One of their recent projects is a dig at the Cathedral and Abbey Church of St Albans which just came to a close last month. 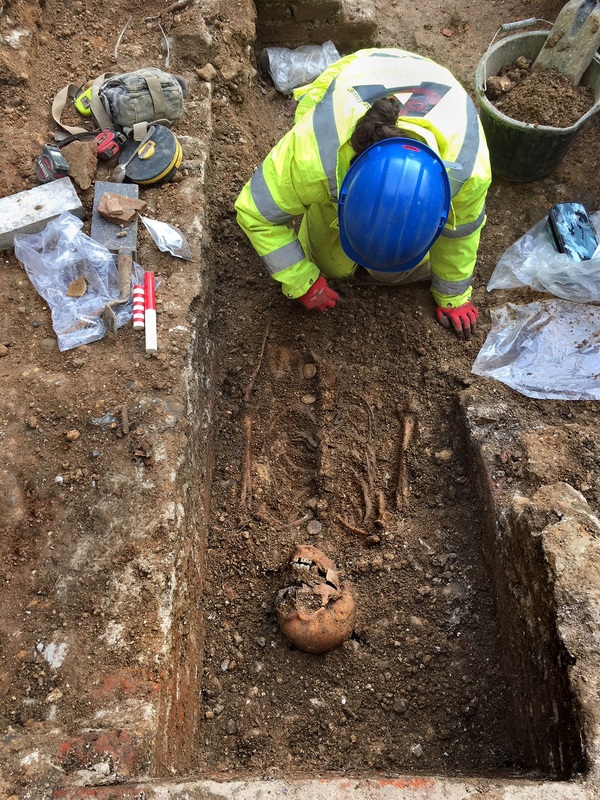 The excavation began in August 2017 in advance of the construction of a new Welcome Center for the church and focused on a burial ground known as Monks’ Cemetery which was in use from the 18th through the mid-19th century. They recovered 120 inhumed bodies from that cemetery, out of the more the 170 recorded burials before the cemetery’s closure in 1852. But that’s far from all they unearthed. Not surprisingly, the burial ground lived several previous lives. Under the more recent graves, the archaeological team discovered the remains of a rectangular 15th century building. Two stories high, the building was an addition to the cathedral and is believed to have contained the treasury, sacristy, vestry and two chapels, all accessible from the main building’s transept and presbytery. It was likely razed during the Dissolution of the Monasteries. It’s possible, albeit not confirmed, that the abbot’s quarters were also in the 15th century structure. It is confirmed that one abbot in particular was buried under the larger of the two chapels. The excavation unearthed a brick-lined grave containing the body of an adult man. 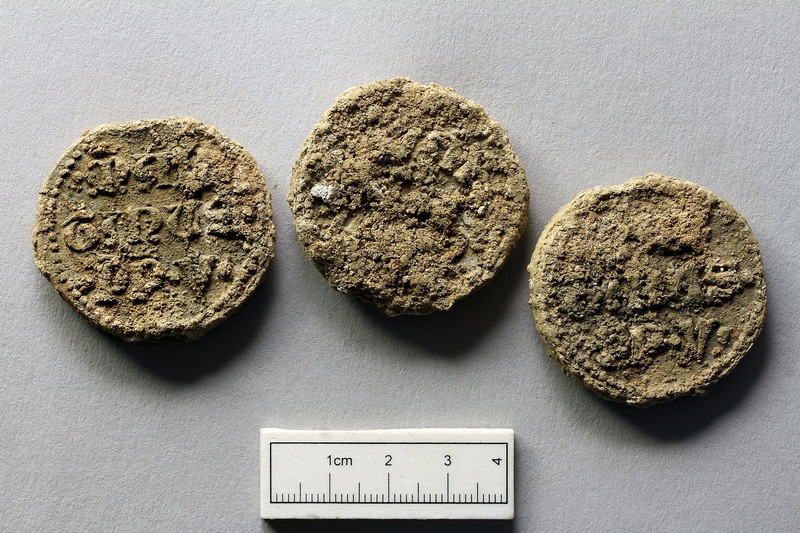 Interred with him with three Papal bullae, lead seals that were attached to official papal decrees known as bulls. 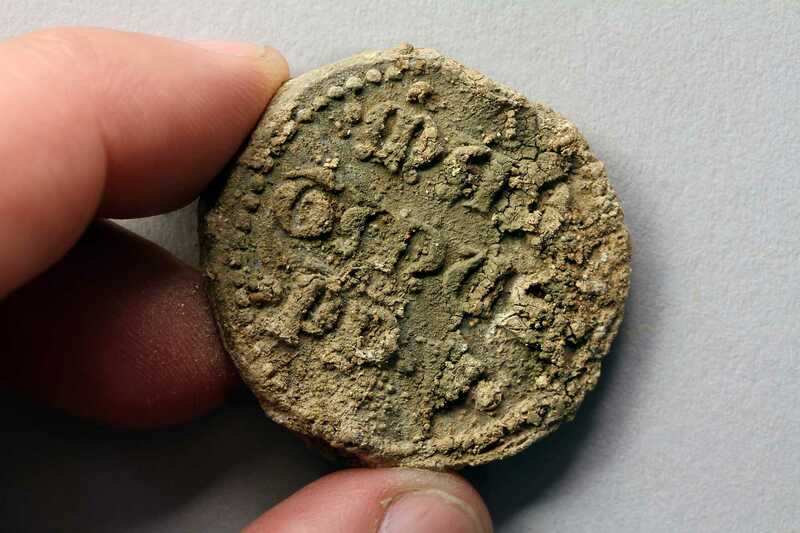 While only the obverse of the seals is even partially legible, experts were able to make out the name “Martinus,” which dates the bullae to the papacy of Martin V who occupied the Throne of Peter from 1417 to 1431. It’s extremely rare to find a grave that contains more than one of these seals. According to Professor Martin Biddle who is working with the CAT team, the discovery of three is in fact “a unique discovery in archaeology.” This strongly indicates the deceased was someone of great importance in the Church. The dates and further archival research point to this having been John of Wheathampstead. John was the Abbot of St. Albans from 1420-1440, and again from 1451 until his death in 1465. He personally undertook the arduous journey to Rome in 1423 and was granted an audience with Pope Martin V. The abbot asked the pontiff for three privileges and Martin granted all three of them. The deal was sealed with, well, seals, two of them dated November 19th, 1423, and the third November 24th, 1423. Abbot John returned with them to the St. Albans where he was celebrated for his successful mission. But it’s not abbots all the way down. Beneath the foundations of the 15th century building the CAT team found the foundations of Norman chapels that were in the apse of the original St. Albans Cathedral built just over a decade after the Norman conquest of England. Paul of Caen, a very well-connected Benedictine monk, became abbot in 1077 and immediately initiated an ambitious building project, replacing the 8th century Anglo-Saxon church with a new one in Norman style. He used materials pilfered by previous abbots from the ruins of the Roman town of Verulamium, just across the river Ver from the abbey, to create a large cruciform structure that was at that time the largest abbey in England. Some of his arches still stand in the nave, as does the tower built at the intersection of the four arms of the crucifix shape (known as a crossing tower). It is the only 11th century crossing tower still extant in England. Paul of Caen’s particular attention to building massive foundations is a large part of the reason the tower and arches are still standing to this day, so it’s fitting that even though later construction tore up the walls of the Norman apsidal chapels, the foundations were down there just waiting for archaeologists to find them. The abbey is known as the oldest place of continuous Christian worship in the country and this find pre-dates that. “[Our find shows] that it was and is an important site of premier status,” site director Ross Lane said.